Fair Wage Cafe! FREE Community Event Sat June 29, Eureka! 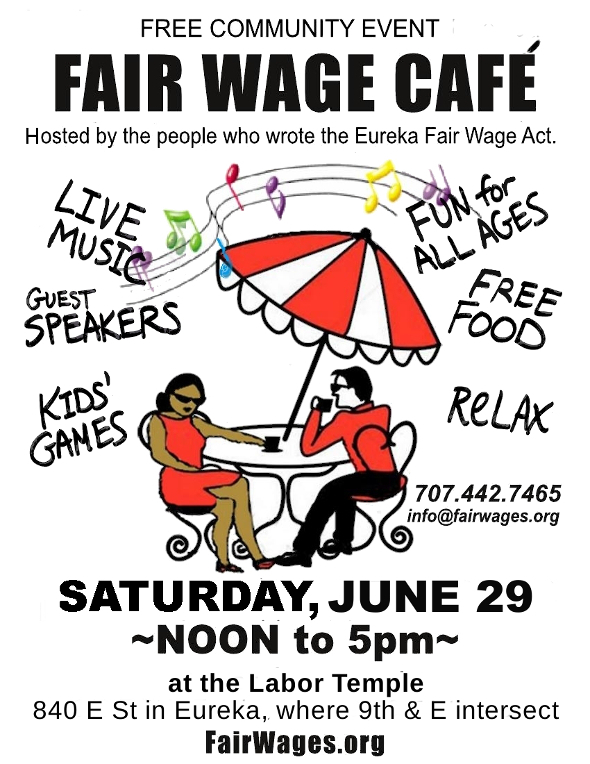 Free Community Event FAIR WAGE CAFE! 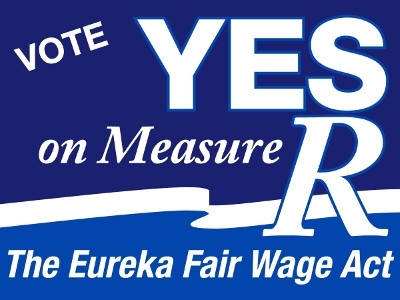 SATURDAY, JUNE 29 12 Noon to 5:00 pm Hosted by the people who wrote the Eureka Fair Wage Act. The Fair Wage Cafe is an open and casual space where people of all stripes are free to encounter each other. LIVE MUSIC FUN FOR ALL AGES FREE FOOD KIDS’ GAMES GUEST SPEAKERS RELAX at the LABOR TEMPLE 840 E Street in Eureka, where 9th and E intersect Facebook Event: https://www.facebook.com/events/330747823723598/ Please ‘SHARE’ or ‘LIKE’ the event or whatever works to invite people on Facebook! Stop by for a short time or stay all day. Relax. Enjoy the food, beverages and music. Help build strong community! Speakers are welcome to talk about fair wages and other labor-related issues. We Need a Minimum Wage INTERVENTION! Nick Hanauer has a good idea today: raise the minimum wage to $15 per hour. The minimum-wage intervention would kill a lot of birds with one stone: it’s a win-win-win-win-win-win. First of all, most simply and most cleanly, it would immediately raise the incomes of millions of cash-strapped Americans — precisely the people who most need to be earning more than they’re making right now. A whopping 51 million people would benefit directly, along with 30 million who would benefit indirectly: these are enormous numbers. Plastic Peanuts? McDonald’s Wants to Pay You With Plastic! She asked for paper – but all they offered was plastic. A Pennsylvania woman is now suing the McDonald’s franchise that refused to pay her by check and instead insisted on employees using payroll debit cards. “I’m looking for the pay I am owed and for them to understand there has to be an option,” Natalie Gunshannon, 27, told the Citizen’s Voice newspaper. Gunshannon worked less than a month at the Shavertown McDonald’s location when she learned that the franchise required employees to accept payment on a J.P. Morgan Chase payroll card. But the card, she contends, imposes fees on virtually every transaction, creating a monetary and physical barrier to her hard-earned cash. Among the costs, according to her lawsuit: $1.50 for an ATM withdrawal, $5 for over-the-counter cash withdrawals and $1 to check the balance. There’s even a charge to pay a bill online or if the card is lost or stolen. Gunshannon is one of several plaintiffs in the class action, filed last week, against Albert and Carol Mueller, the owners of 15 McDonald’s stores in Pennsylvania. Such a payment option has been embraced by large corporations like Wal-Mart Stores Inc., Lowe’s Cos. Inc., The Home Depot and FedEx Corp.
Big Box Bash 12 Noon 4th and Q Today! 4th and Q near Big Louis Pizza. 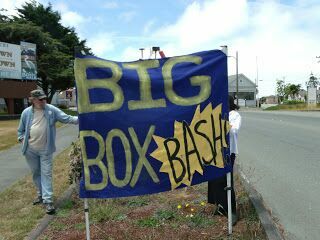 The Big Box Bash will be a fun, family-friendly event alternative to Walmart’s ‘year-since-invasion’ (anniversary) sale. 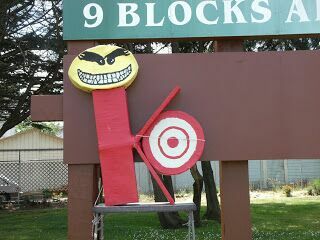 * The Big Box Bash will be outdoors, set up with tables and feature live music, good munchies, kids’ games, and a large paper mache BIG BOX “effigy” [Walmart, K-Mart, Target] for young and old alike to swing at like a pinata! See how hollow their promise of low prices is. We will also be distributing promotional materials from local merchants, attempting to direct shoppers (the U.S. word for “people”) away from Walmart and back to smaller, local businesses. The plan is to do the Big Box Bash on the 101/Broadway. The lot we were planning became unavailable, so we are still figuring out the site. 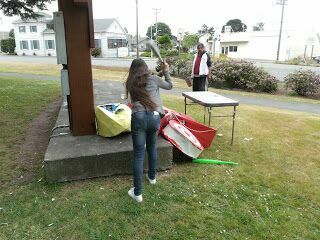 We will put the location on our blog, fairwages.org and you will see us if you drive on the 101 through Eureka. 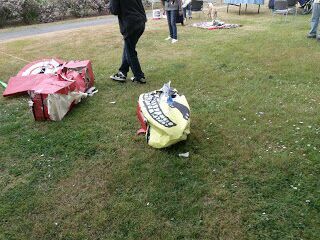 You will see the Big Box “effigy”. The plan is for the event to go from noon to 3pm, this Saturday, 7/15. Little people will get first swings at the Big Box effigy!! 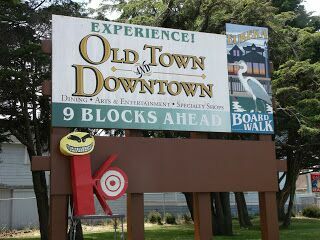 Or call (707) 761-5247 to find us on the 101! *A YEAR AGO THIS WEEKEND… the largest “Big Box Retail” parasite (Wal-Mart) wrapped its vampire squid tentacles into our community. Sucking the life out of local business and enslaving people in far off lands to make cheap products, they blight our community with GMO Foods, Empty Store Fronts and Poverty Level Wages.